Welcome to the 6th edition of “Meet the Pro”. If you missed our previous articles, let us quickly explain what/why we do it. A goal of Go Golf U.S. is to build a personal connection in the game of golf again. We want to help players get to know the courses, golf shop staff and Pro’s. When we see familiar faces and can add a smile or Hello, it makes a better experience for all. So, to gather content for these articles, I (Alan Liwush) put the Pro’s on the hot seat for an interview to find more about them to share with all of the Go Golf U.S. community members. Having played at Ridgemont only a few times in my day, but being a frequent visitor to Avid Indoor Golf in the Winter time here in Rochester, NY (to shake the rust off after neglecting my golf game for months and prepping for a trip to play in Florida in a few short weeks…), surprisingly, I had never met Brian before. 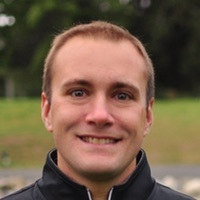 After sending the last edition of our “Meet The Pro” featuring Mike Roeder onto the interwebs, Brian replied via email letting us know how great of a guy Mike is and was thankful we took the time to interview him and share his story on such a localized golf blog. After some excitement that some people were actually reading my work, I saw this as the perfect opportunity to get to meet Brian and interview him for our next “Meet The Pro” segment. Most of the time, we have a structured set of questions we go through involving the game and teaching. This one went differently, in the best way possible. Upon meeting Brian, it was like I already knew him for years. An extremely friendly and generous guy, he and I sat and chatted for over two hours. I am thankful for his time and have pulled out some of the best excerpts from our convo to share with you below. Without further ado, please enjoy this edition of “Meet The Pro” with Brian Jacobs. 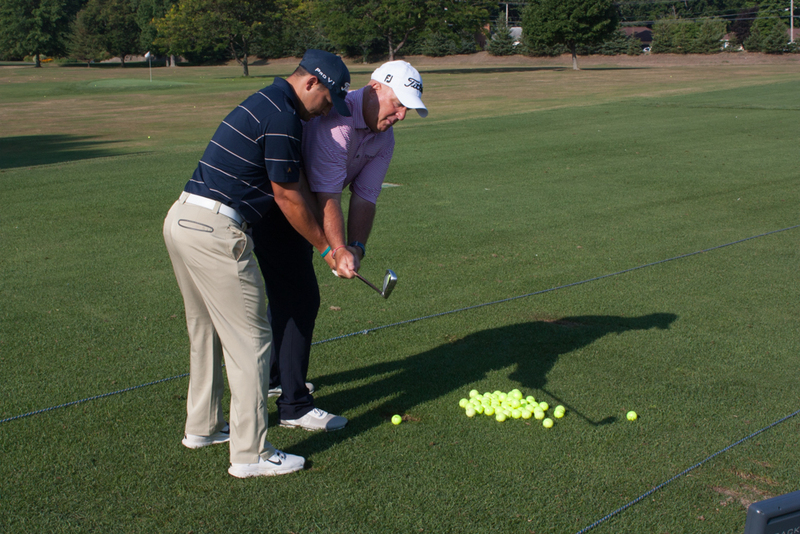 Brian Jacobs currently has a host of positions in golf instruction. 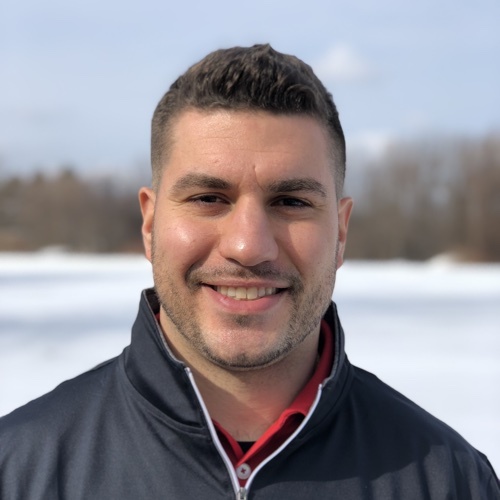 To name a few, he’s a Lead Coach at The Golf Channel Academy, Lead Instructor at Ridgemont CC and also the owner/operator of his own brand, “Brian Jacobs Golf“. Teaching was natural to him as he is also on his 30th (and final) year of teaching health education in the Rochester City School District. To get to where he is today, Brian has worked numerous jobs within the golf business. His break into golf came when he took a position at Midvale CC in the bag room and started a caddie program. The caddie program involved bringing inner city youth to Midvale to caddie and educate them on the game of golf as well as teach them life lessons. With the start of the caddie program, other opportunities came about. Caddie Master would be the next role taken at Locust Hill CC where he spent 6 years racking up caddie gigs at major tournaments like the U.S. Amateur during his tenure. While working in golf, Brian was always hitting balls and working on his game. Opportunities to play with local Pro’s came about and his game matched up well against them. With some push from friends and family to take the PAT to get his PGA credentials, he did so in 2000, recording scores of 71 and 67 respectively. Scores like that turned some heads and when questioned who he was, his reply was, “Oh you know, just a school teacher, spent some time caddying and a decent athlete”. 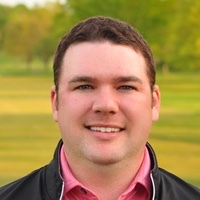 While working as an Assistant Professional under Locust Hill Country Club Head Professional, Brian went on and passed PGA Business School (PGM) in a year to get his Class A credentials. After leaving Locust, Brian made his way to the Country Club of Rochester. CCR gave him opportunities to meet people like the late, great Sam Urzetta. In conversation with Sam, he told Brian that he wasn’t going to be a head golf pro, but instead a golf instructor and Sam encouraged him to take that path. That year, he took a position with ESPN, teaching corporate lessons and golf schools on the weekends and also made a jump to Ravenwood with Paul Sanders. His position at ESPN lead him to meeting teachers like Hank Haney and Michael Breed (Ever heard of them?). Upon building a relationship with Hank, Brian began writing the curriculum for Hank’s “Teach The Teacher” series. With an overloaded schedule, Brian decided to start focusing on his true passions and eliminating some roles he took on over the years. In 2005, he stopped coaching college/high school golf and left Ravenwood to head to Irondequoit CC. He had a set of calculated moves in mind for his next roles in golf. He wanted to go private and then high end public again to know truly where he wanted to be. After two years at ICC, he went to Mill Creek for three years. And that, leads us to where we are today with his roles at RCC, The Golf Channel Academy and Brian Jacobs Golf. Another difference I noticed in Brian was his response to my question, “What golf book do you recommend or have gifted most in the past?” He immediately dodged the idea of a golf book and suggested a book called, “The Energy Bus” by Jon Gordon. I heard great things about the book and this sparked our conversation about other books. He followed up by saying, “Readers are leaders” and elaborated on how not enough people use books as tools for the mind anymore. As an instructor, he is working with students and is always recommending books for them to read, which I think is great. Many of the books he chooses help build mental strength as the game of golf is very challenging and you need to be mentally tough to keep composure after a bad shot. Part of his relationship building process with clients isn’t just about golf. His goal is to truly change the lives of the people he encounters. I definitely got that vibe from him and can’t think of a better way to build a life long client/friend. In my conversation with Brian, we got pretty deep into life and routines. He, like myself, is an early riser and fitness enthusiast. Some may call us crazy, but both of us are up before 5 and on the gym floor working out shortly after. A focal point of his morning is turning to gratitude to appreciate the things he has, the people he has met and his health. I couldn’t agree more with him on taking a moment out of the day, preferably in the morning to be grateful for the things we have. This really was a great practice to hear he does as many people don’t fit this into their day and should. One of the biggest things that drew me into Brian after doing some research was his effort on building his own brand. This is a widely used buzz word in marketing, but it’s so effective. Brian’s brand is an extension of who he is. He selects a specific type of person to be on his staff and even specific types of people to coach. If someone doesn’t fit the brand, he simply chooses not to work with them. Research and finding more about Brian was super easy. For a guy in his 50’s, he understood social media and the use of it to build a following like a true marketing guru. This was a real treat for me because so many people are nervous to use this amazing platform to truly help them build a business. He puts the time in and posts the recommended amount per day on social. It was ultimately how he was recognized by The Golf Channel Academy and got much more involved. Q: Do you have a hole in one? If so, explain it briefly. Q: Name 3 things every player needs in their golf bag? – Can’t be a club. “40-60 oz. of water with Biosteel in it” My insight- I myself, am a huge Biosteel fan as well. I was introduced to the product when in college playing Hockey. It had a huge following in the NHL so all the boys were using it. It’s a clean product with no added sugar. Great for mid-round fuel and hydration. “Extra coins for ball markers or to set on the green previous to play to putt/chip/pitch to” My insight – Don’t be the guy using a tee as a ball mark… A coin is a simple and small thing to carry, keep a few in the bag! Below is actually a really fun game I played last year with coins. Check it out. “An extra glove in case one tears or you perspire through it” My insight – Absolutely crucial and I myself carry a new glove still in the package as well. It’s a small cost for security in the future in case it rips or we have an unusually warm day. We have listed below some links to great products Go Golf U.S. recommends on Amazon corresponding to Brian’s suggestions. 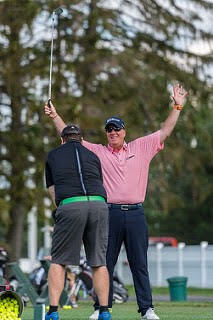 Q: Tell me about your upcoming series on The Golf Channel Academy called “The Takeaway”? When Brian elaborated on the show idea, I loved it. I always think how excited I am when I comment or ask a question on a brands social post and they take the time to respond. This interactive platform allows Brian to respond immediately on questions. 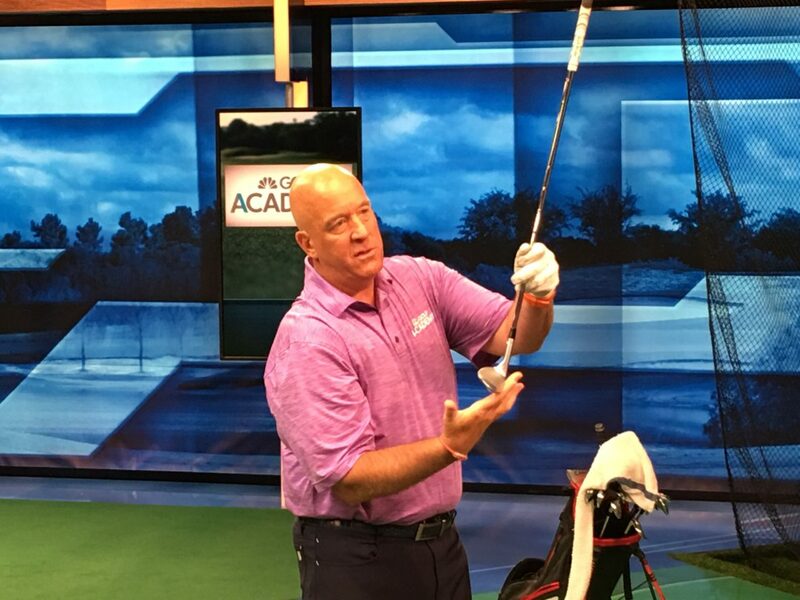 You can find passed editions of The Takeaway on Brian’s Facebook page here – https://www.facebook.com/brianjacobsgolf or on The Golf Channel Academy’s FB page. Like I said before, it will be airing on Tuesdays at 2! 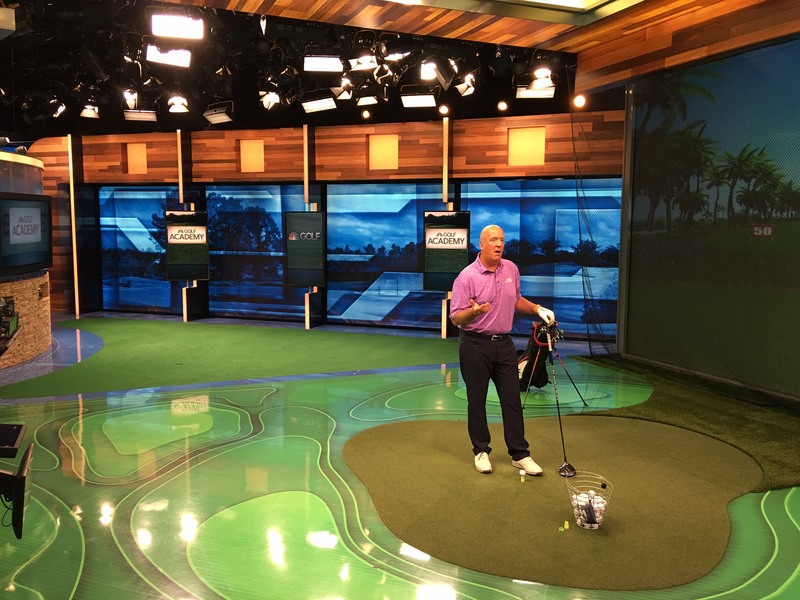 Brian has a host of other information videos on his site here https://brianjacobsgolf.com/media-room/videos as well. To say the least, Brian’s influencers are star studded. His personal relationship with them all has developed over the years via his interaction with The Golf Channel. Q: Do you have anything you do daily to make sure you accomplish your goals? A: “To accomplish goals/tasks, I follow a 5-3-1 scale. I list out 5 things everyday to accomplish. I quickly cut 2 away that were BS to begin with to get the “Little 3”. Then, I would cut 2 again from the “Little 3” to get to the “Big 1”. I take my “Big 1” and make sure that gets accomplished each day. If you can’t accomplish one thing in one day, you are a SAD SAD person. Whether its posting on social or something else, you have to make this a part of a daily routine. I get up way earlier than anyone in my house so I have time to meditate and relax. I see productivity killed by answering email constantly. I block time off for email, twitter and Instagram and when I hit my limit, I’m done. It’s a good lesson for people to learn. When I do posts, I think of one person specifically and say, “Ok, how can this help them?”. My morning also includes reflection on gratitude. I wake up and walk downstairs and say, “Wow, I have a great house, great kids, great wife and my body moves, my brain thinks.” So now, I’m in a grateful attitude to take on my day. Q: What’s one failure in golf you have experienced that set you up for future success? Can be in golf business, on the course or in life? Q: This lead to my next question, What does “Success” mean to you? Q: What does the future and life after retirement look like for Brian Jacobs? After the interview with Brian, he asked me to attend an event of his at Avid called "Pints, Pitches and Psyche" aka Triple P. An awesome event involving local beer from Rohrbachs, group instruction on the simulators and also mental coaching from him and one of his team members. I got to spend a little bit of time with each of them and fully understood why he selected them specifically to be on his staff. 1. Rob Comerer - Staff Instructor. 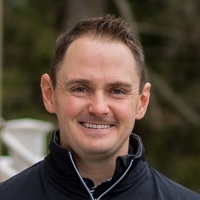 Rob is a Class-A PGA Professional and Staff Instructor at Brian Jacobs Golf who has worked and taught at some of the country’s finest clubs, including: the Bucknell Golf Club, Ford’s Colony Country Club, Wilmington Country Club, and most recently, the Baltimore Country Club. Rob was great. I had the opportunity to take some swings with him using the Trackman and get some real data about my ball flight. 2. Jeff Ross - Club Fitting/Equipment Engineer. Jeff Ross, a master club fitter, is Maltby Certified for both club fittings and repairs. He has close to 10 years’ experience identifying the proper club set and make-up specifications for golfers. Jeff knows how to review each golfer’s unique swing, in relationship with their ball flight to improve performance. After a few swings, Jeff had some club recommendations for me. He had me try out a few iron set ups by Titleist and optimized a club set up for my swing. I took the numbers and am waiting to make a purchase on some new irons now... Did someone say AP3's? 3. Dr. Stephen P. Gonzalez - Mental Conditioning. Stephen is an expert in mental training, an Assistant Professor of Sport Psychology at The College at Brockport, and a consultant to organizations and teams. For the last decade, Dr. Gonzalez has worked with the U.S. Army, U.S. Air Force, professional athletes, collegiate athletes, high school athletes, performing artists, and weekend warriors with the ultimate goal of high performances and personal development. Dr. Gonzalez has extensive experience working with golfers to develop a mindset for high performance and brings his passion for helping people to Brian Jacobs Golf. I immediately got along with Stephen after talking about him helping The Boys on the Hockey Team at Brockport where I previously played. We talked about the importance of mindset in golf and how its overlooked by many people, yet such a crucial part of the game. 4. Dr. Michael Hughes - Orthopedic Specialist. Dr. Michael R Hughes is an outpatient orthopedic specialist who has been practicing at Agape Physical Therapy in Gates, NY for the past 5 years. He has worked with a wide variety of patient populations ranging from high school, collegiate, and semi-professional athletes to middle-aged sports enthusiasts looking to regain their athletic prowess. Dr. Hughes has been an avid golfer throughout his life and helps to assist his patients with a successful return to pain free and quality movement to improve overall performance in any sport, especially golf. Where to find Brian Jacobs and Brian Jacobs Golf Online? To help get Brian and his brands info out there, you can find him online on his website at https://brianjacobsgolf.com/, on Facebook at https://www.facebook.com/brianjacobsgolf, on Twitter at https://twitter.com/BrianJacobsgolf (handle @BrianJacobsgolf) and on Instagram at https://www.instagram.com/BrianJacobsgolf/ (handle @brianjacobsgolf). Brian operates out of Ridgemont CC, so we figured we would ask him about the course like we do in all interviews. “Ridgemont CC is a great course and built with an “old soul”. It’s not overpoweringly long, but long enough to offer any level of player a challenge. The greens are small in comparison to many other builds and the contour of the grounds winds you around a special piece of property.” I always like to ask favorite and least favorite holes on a course and take note of it for when I play there next. His answers are respectively, “I like all the holes, but #14 is probably one of my favorites. It requires a great tee shot avoiding bunkers on the left and also near the green. The green is uphill and requires precision to keep the ball under the hole.” As for least favorite, “I love them all.” This is sometime a bail out answer, but he does really enjoy the course. In the future, I will rephrase this question as “the most challenging to the average golfer”. You can find all of Brian’s rates and even schedule an assessment/lesson online HERE. Brian Jacobs Golf Academy offers a few plans for instruction which you can find more about on his site at https://brianjacobsgolf.com/instruction. That wraps up this interview! Thanks for reading our 6th edition of “Meet The Pro” with Brian Jacobs. I really enjoyed getting to know Brian as I do with all the interviews. His knowledge of golf instruction and life lessons he shared with me were amazing. I’m so grateful he took the time to sit down with me for the interview.